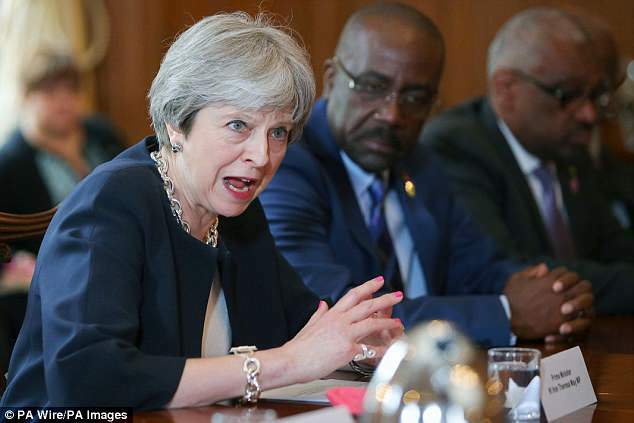 Theresa May can still convince MPs to back leaving the customs union, a minister claimed today amid reports the Prime Minister could back down. Justice Secretary David Gauke said the Government could 'win' the argument amid growing belief among Remain supporters Parliament will force the issue. If was claimed today Mrs May could surrender to a Remain 'stitch up' over the customs union in defiance of a Brexiteer revolt. 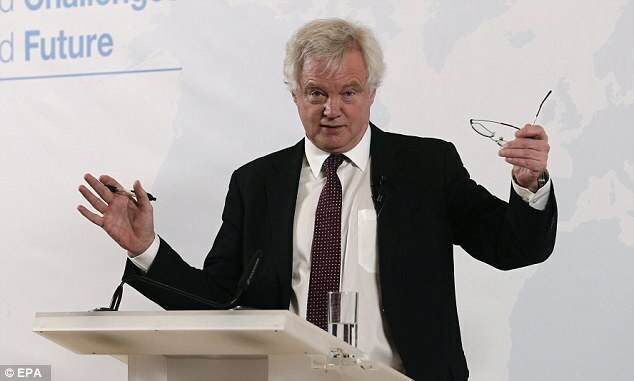 Brexit Secretary David Davis was said to be leading resistance to a U-turn on the policy amid claims it would be a 'betrayal'. 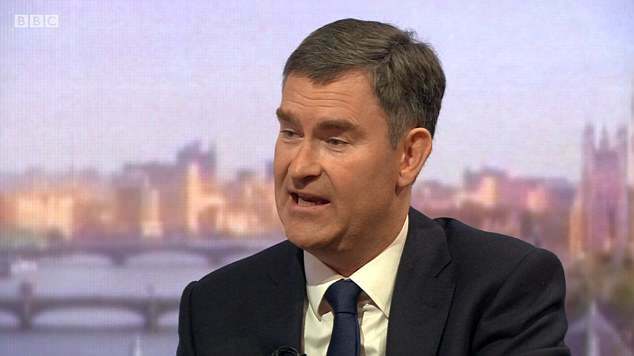 Mr Gauke told BBC's The Andrew Marr Show: 'The job of those of us in Government is to persuade Parliament that the route going forward, leaving the customs union, but ensuring that we don't put in place unnecessary barriers to our trade with the European Union. The Brexit Secretary objects to plans by Downing Street to stay in a customs 'partnership' with the EU that would allow the UK to strike trade deals around the world – but collect import tariffs on behalf of Brussels. Mr Davis is understood to have told No 10 that the idea is unworkable and would be greeted with fury by many Tory MPs. 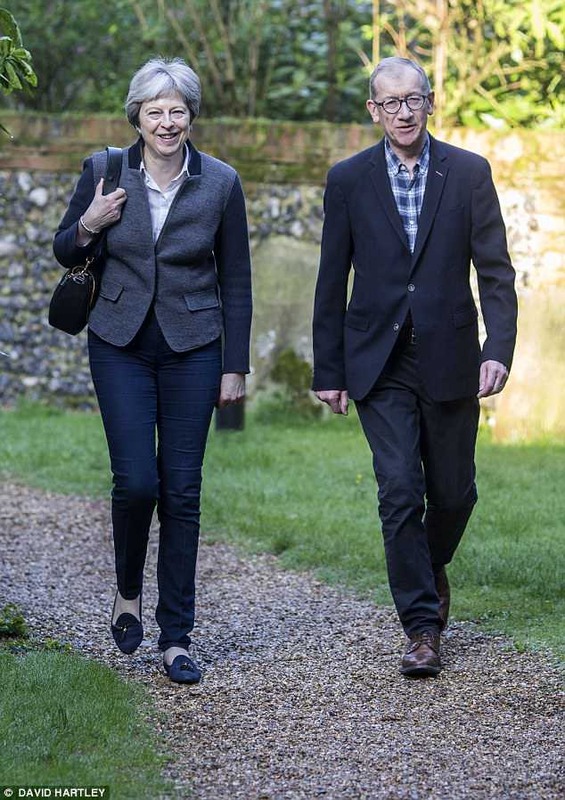 He is believed to be supported by other Cabinet Ministers, including Boris Johnson and Michael Gove. And Mr Davis is publicly backed today by one former Government Minister, who argues that the plan could lead to the 'complete derailment' of Brexit. David Jones, who was a Brexit Minister under Theresa May, writes below that the idea is 'a Byzantine scheme designed first to slow down Brexit and then to strangle it'. The 'partnership' customs plan is being pushed by Oliver Robbins, the Prime Minister's Brexit adviser at No 10, in an attempt to break a deadlock in negotiations with Brussels over the Irish border. The British team has been struggling to find a way in which the UK can leave the EU customs union – as Mrs May has promised – without having a hard border in Ireland. It was reported last week that the customs 'partnership' was one of several options already rejected by Brussels. However, Brexiteer Tory MPs fear this is just a negotiating device to force the UK to accept close customs ties after Brexit. Mrs May will face further pressure on the issue this week when MPs debate a motion aimed at forcing a vote. Three Tory Commons select committee chairs – Bob Neill, Nicky Morgan and Sarah Wollaston – are among the signatories to the motion, which urges the Government to 'include as an objective in negotiations... the establishment of an effective customs union'. 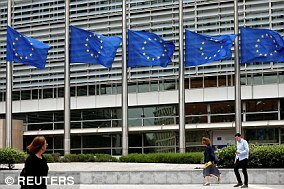 A senior Brussels source told The Mail on Sunday: 'The consensus EU view is that we won't move forward with the negotiations until we have a clear idea as to whether there is British parliamentary support for leaving the customs union. WHY DO THE CUSTOMS UNION AND SINGLE MARKET MATTER AND WHAT COULD HAPPEN AFTER BREXIT? The customs union and single market have emerged as crucial battlegrounds in the struggle over Brexit. Here are the main options for what could happen after Britain leaves the bloc. A Norway-style arrangement would be the deepest possible without formally staying in the EU. The single market rules out tariffs, quotas or taxes on trade, and guarantees free movement of goods, services, capital and - controversially - people. It also seeks to harmonise rules on packaging, safety and standards. The customs union allows EU states to exchange goods without tariffs, and impose common tariffs on imports from outside the bloc. But they also prevent countries from striking deals outside the union. Theresa May has repeatedly made clear that the UK will be leaving the customs union. However, many Eurosceptics believe it is impossible to be in a union without hampering the UK's ability to strike trade deals elsewhere. The PM has also ruled out this option. Less formal than a union, this proposal would seek to cherry pick the elements that facilitate tariff-free trade - without binding the UK's hands when it comes to deals with other countries. One possibility could be keeping the UK and EU connected for trade in goods, but allowing divergence for the services sector. The partnership option was floated by the government in a position paper last year. This scenario would be a 'bare minimum' customs arrangement between the EU and UK. New technology would be deployed alongside a simple agreement to minimise friction. But there are fears that this could hit trade, and it is unclear how the system would work with a 'soft' Irish border.